Midway through our worldwide research into quality education there was an opportunity to visit schools in Jerusalem, Tel-Aviv Yafo, and explore some of the Holy sites in Bethlehem and The Galilee – including Magdala (above). 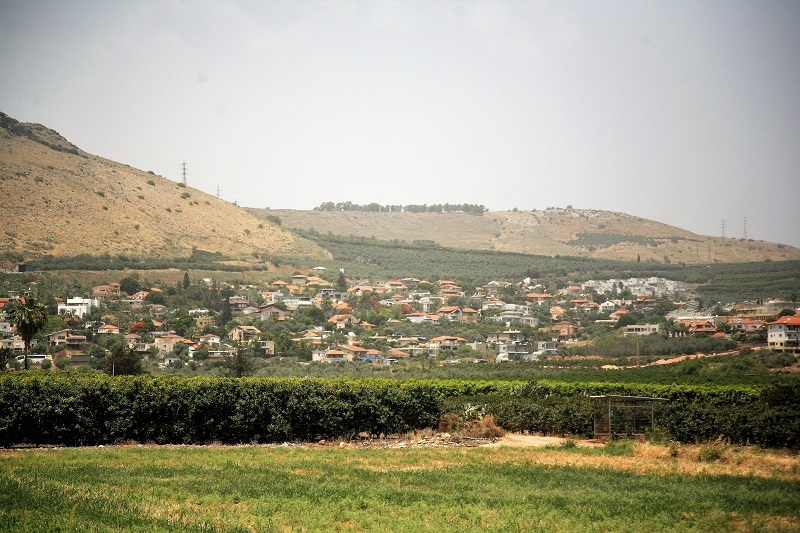 The only thing I can recall about Magdala was a restaurant on the roundabout as we entered what is now the Israeli municipality of Migdal. Since we weren’t part of an organised tour Rachel and I enjoyed the freedom to walk around, immerse ourselves in the culture, and engage with locals going about their normal everyday business; it was actually quite refreshing in what could otherwise have been a rather ‘touristy’ trip. Of course, there were some who were ‘cashing in’ on tourism. The fact that you could buy Wedding Wine in Cana raised a smile – we didn’t – nor were we tempted by the apples at Adam’s supermarket in Bethlehem, or a triple shot of coffee at ‘Star bucks’ on Star Street. Magdala itself really wasn’t that memorable, but as we chatted with friends a few months later, their enthusiasm about the film Mary Magdalene (2018) transported me back to the hills and shores of The Galilee; where Rachel and I shared a picnic of Arabic bread, humus, olives, and an ear piece each, as we listened to Scripture from the region on my iPhone. Our friends loaned us the film, and it didn’t disappoint. Mary’s views on Jesus’ mission resonated deeply with my own – especially how she questioned the mainly revolutionary seeking, but mistaken, men who followed Jesus – who was the real revelation of the film. It stirs a range of emotions in me; from the pressure to give an attractive, inspiring, succinct account of ourselves – just in case these are potential partners – to pulling something tangible out of my hat – tadah! – even without the resources one would logically need to acquire the buildings / land to start a school. Catch me on a ‘good day’ and I’m surprised, delighted, and encouraged by people’s interest; there is a certain degree of comfort / reassurance in knowing you’re not the only one’s passionate about education, equality and integration in South Africa. Some of the ‘chance’ conversations we’ve had, have opened up some incredible opportunities. But being ‘on duty’ all of the time does take it out of you – which is why Rachel and I both simultaneously turned to each other before Christmas with a felt need to retreat to the bush for a few nights; I’m almost reluctant to say it – in a year of so much travelling, experience, learning, and opportunity – that its as close as I’ve come to a feeling of ‘burn out’. “You’re the only one who is in control of that” God replied. We can not, must not, never limit what it means to be Christ-like to the few hours we’re at Christian-type gatherings. Jesus didn’t come, live, or allow himself to be killed, for limiting faith. As followers, Jesus is quite clear that we are all called to even greater things (Jn 14:12). What those ‘greater things’ are for you, I neither know, nor can say. All I do know – for now – is that after all these years, I have finally seen Jesus’ face, and he looks totally switched on.